Webtron has been busy building and developing websites for UK businesses such as Envico-Online. Interestingly, a well known multi-national business that has an operation in Canada will be one of our next web-design projects. The internet knows no boundaries. 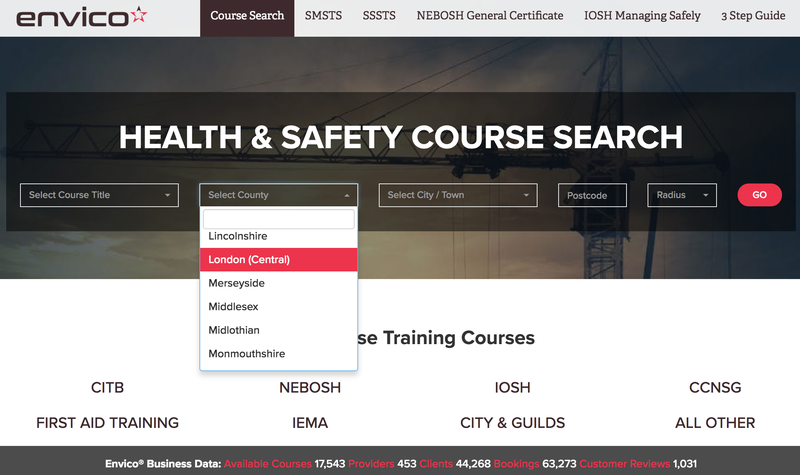 And Webtron is therefore proud to present for 2018, the redesigned leading UK Health and Safety course website for Envico-Online. This is because Webtron has had an almost 10 year association with this great UK online business success story. And we have helped to shape their online presence for over a decade. At any time, Envico-Online has over 17,500 UK Health and Safety courses available online. And it’s websites like these that we love building for our customers. Wherever your business is located in the world, if you need professional web design or web development get in touch and see how we can help your business attract and retain more customers online.